This photo shows the two species which were crossed to create Phrag. Hanne Popow. 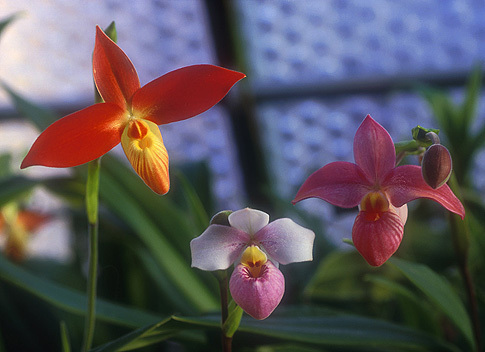 The bright red bloom is Phragmipedium besseae (see Vital Core on the Single Essences page), while the pale pink and white bloom in the centre is that of Phragmipedium schlimii. 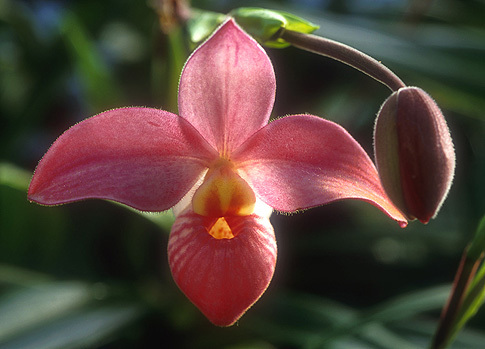 Phrag. Hanne Popow is on the right of the photo.